With any vehicle, there comes a time when you have to do maintenance to keep it running well. If your brakes are squeaking, you hear metal rubbing or you are concerned that they aren’t working as well as they could, it is time to replace them. Here’s how. 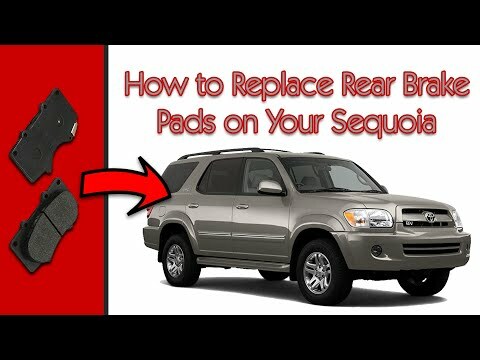 Are your brakes needing replaced in your Toyota Sequoia? Here’s how to replace them. First step is to engage the parking brake on the vehicle. Remove the hub cap cover by finding a notch near the lug nuts then remove the lug nuts. Jack the Sequoia up and put jack stands in place. Finish removing the tire. Find the front brake calipers and locate three pins/springs. You will need to remove these pins from each brake pad side. Pull the remaining pins out of the way. Prior to removing the pads, use a flat head screwdriver to compress the brake pistons. Remove the old brake pads by pulling them out after moving the pins and springs out of the way. If they are too tight, you will need to remove brake fluid from the master cylinder. Replace the brake pads with new ones. You will want to consider using a brake spray to reduce noise. After the new brakes are back in place, put the pins and springs back in place. Prior to putting the tire back on make sure the rotor is aligned with the wheel. Replace the wheel and tighten down the lug nuts (hand tighten to start them). Find the notch in the hub cap cover. Remove or loosen the lug nuts. Jack up the vehicle and use jack stands, then you can pull off the wheel. Find the caliper and remove two bolts on the back side (17 mm bolts). The caliper will then slide off. Take the caliper and find a way to let it rest on the axle. You can use zip ties if needed. Caution though, don’t twist or let the brake line snap that is attached to the caliper. Remove the brake pads by hand or with the aid of a screwdriver. Replace the brake pads with new pads making sure the new ones have the same brake indicator tab. If you need to depress the piston, you can use a variety of methods including a screwdriver or a c-clamp with the old brake pad. Replace the caliper and tighten the bolts back down. Lastly, put the tire back on the vehicle and tighten down the lug nuts. Congrats! 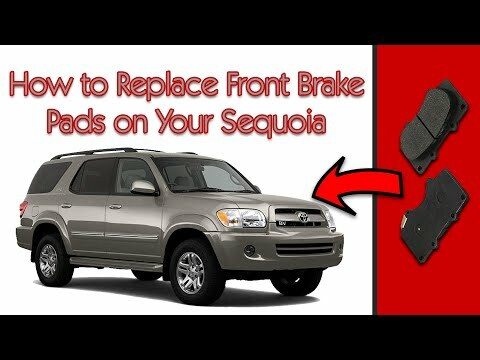 You have successfully replaced your Toyota Sequoia brake pads. If you became stuck or couldn’t finish this repair, check with your local dealer for help.